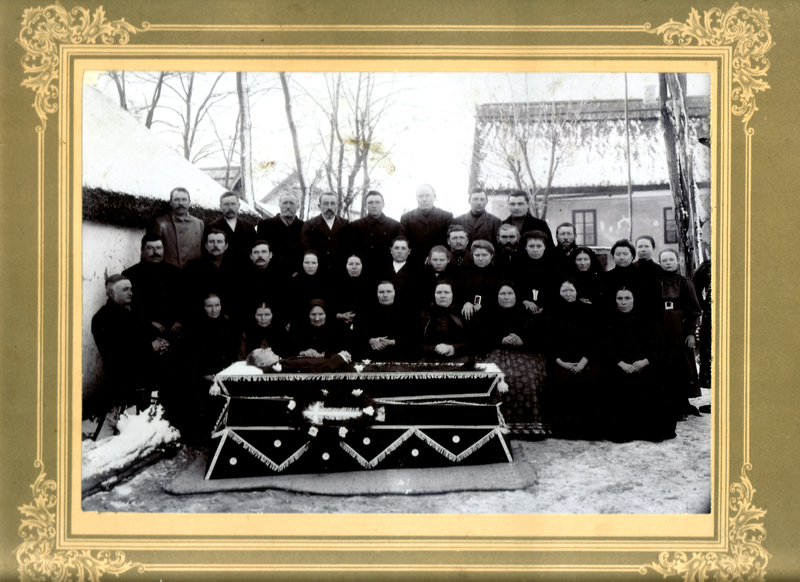 During the 1800s, it was common practice for families to have pictures taken of their dearly departed. This may seem gruesome to us today, but back in a time when the mortality rate was high, especially among children, a photo was one way the family could keep the memory of a loved one. I am fascinated with the history of post-mortem photography ever since I first read about the practice, and have acquired a few photographs for our vintage photography collection. The more I learn about each photo I study, the less freaked out I am about this part of photographic history and my mortality. 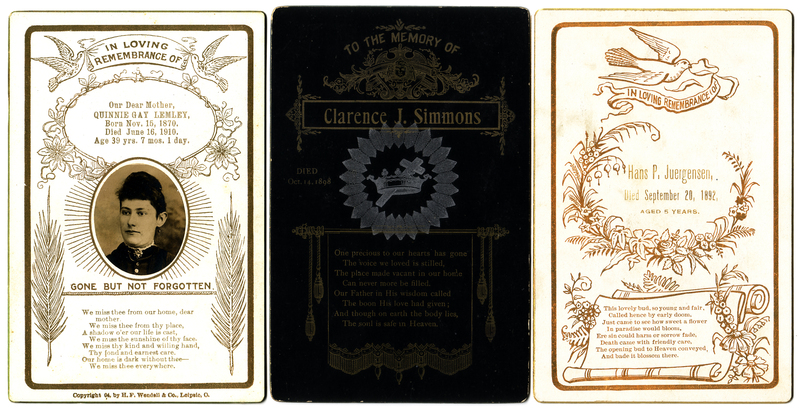 The Art of Mourning has detailed information on vintage funeral ephemera, such as mourning cards, as well as hair jewelry — another way the Victorians kept mementos of the dead. The Burns Archive is a great place to search for historic medical, post-mortem and crime photography. Read this Morbid Anatomy post about the latest memento mori exhibit in NYC. 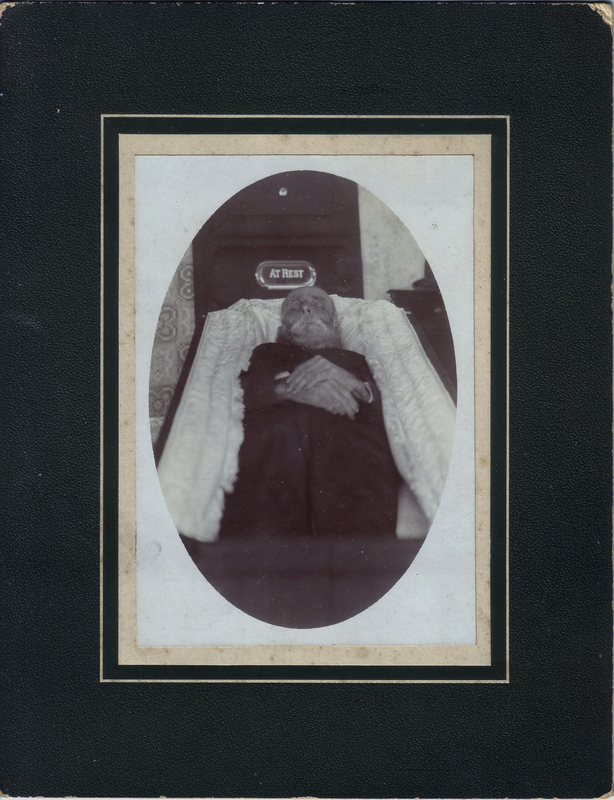 The Thanatos collection has hundreds of post-mortem photos in their archives, some available to view online. Now I Lay Me Down to Sleep is an organization dedicated to the healing powers of post-mortem photography. i’d be crying too much for me to take them! You’re quite welcome! I think your site is an amazing resource for historic photography. Lizzie — It took me awhile to consider posting some of these (I didn’t even scan some of the others we have – I didn’t want to go overboard), but we just keep ours tucked away in a photo box. I think a whole bedroom would definitely be creepy! I know of a guy who collects these, frames them, and hangs them on his bedroom wall. I’ve heard it is covered with them. As a rule, they don’t seem creepy to me, but a whole room of them sounds just a little weird! !